Getting bartenders to part with a favorite drink recipe is akin to begging parents to keep their cryptosporidium-pooping babies in their backyard wading pools instead of at county pools: not likely to happen. Nevertheless, City Weekly’s summer interns Dan Fletcher, Jennie Nicholls and Esther Pomeroy, were told not to return to the office without drink recipes in hand, which they did, and brownie points were duly earned. Can’t say the same for baby mamas and papas. Oh, by the way, get your shakers out! “Old as Moses,” says Miles Broadhead of his mentor at Seattle’s Five Points Bar. “He was an old-world bartender. He taught me how to make drinks the right way.” That was seven years ago now. Broadhead, a 22-year-old coast guardsman, had stepped behind the bar to make a little extra cash on his leave time. A job at Hotel Monaco brought him to Salt Lake City and a chance stop by the Zanzibar—tagging along on a brother’s ill-planned date—would introduce him to an old-world establishment that instantly welcomed his old world talents. He was offered a job the same day. Guinness Float (served between 2-5 on Saturdays). 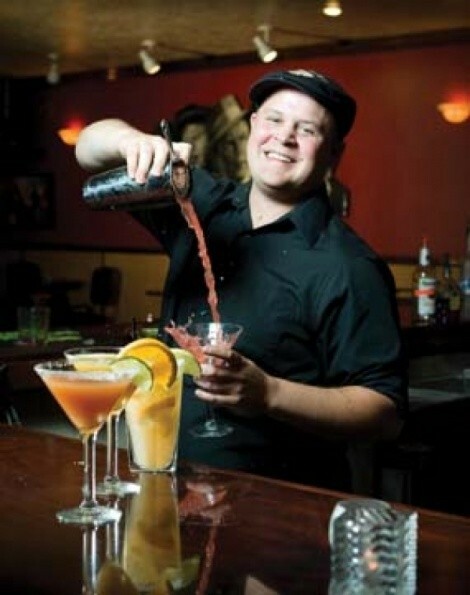 Catlin began his bartending endeavors at the Huka Bar & Grill in Murray about six months ago. The Huka Bar itself is relatively a new bar, open for two and half years. 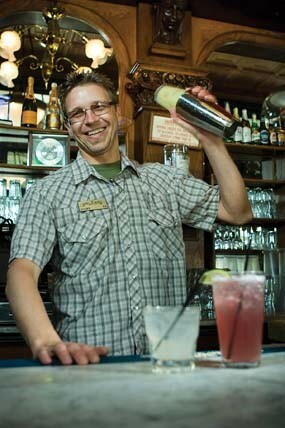 Catlin loves the active atmosphere and meeting cool people while mixing behind the bar. The bar was already featuring the popular American Pie (recipe below) on its menu when Catlin started working there. When Catlin isn’t working, he likes to relax drinking his personal favorite, Bartender in a Cup: Malibu rum, Triple Sec, orange juice and grenadine. Frehener was hired by Port O’Call on his 21st birthday and has stuck around for 14 years. “It’s a great, fun environment,” he says. His personal favorite drinks are whiskey on the rocks and yellow beer, but Frehener says that Port O’ Call’s lime rickey is “crazy delicious” and refreshing for summer. Technically, a lime rickey is any mixed cocktail that includes lime juice as a key component, but in an ironic salute to Utah, Port O’Call’s twist on the drink was inspired by local burger joint Arctic Circle’s nonalcoholic version called the Lime Ricky (7Up with a shot of grape syrup and a slice of lime). Chip in the blender and garnish with lime wedge.